About a month ago, I had pretty much everything set for my wedding. The venue and gowns? Check. Invites sent out? Check. Flowers & wedding favours? Check, check, check. But with all the stressing over details, I started to binge eat emotionally and slack off on my food choices. Just when I thought all hope was lost, I was delighted to be given the opportunity to try out the Nu Skin’s ageLOC TR90. Here’s a quick 411 about the brand Nu Skin; it’s a US founded direct selling company that distributes more than 200 premium-quality anti-aging products in both the personal care and nutritional supplements categories. I’m pleased to discover that they even have their own Innovation Center that is committed to meticulous research and development of their product range; hence I know I’m in good hands. Phase one of program begins with prepping my body to its most optimum, so that it’s in tip top shape. 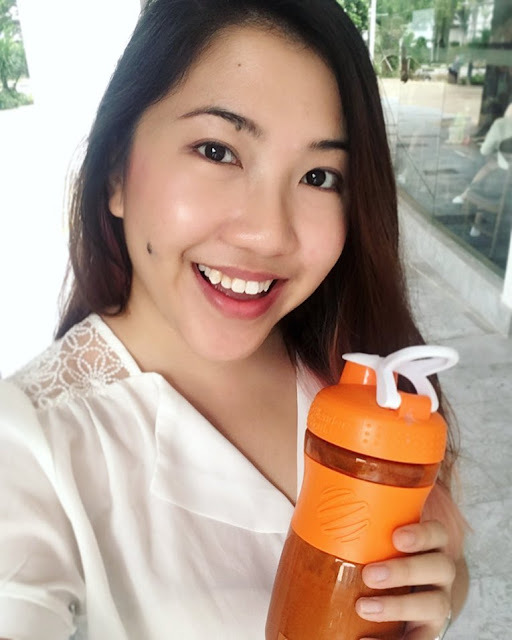 I start my everyday routine with ageLOC TR90 TrimShake, a meal replacement with great tasting source of high-quality protein that helps support a healthy diet. Available in Vanilla and Chocolate, it was a no brainer for me to choose the latter since I’m a chocoholic! 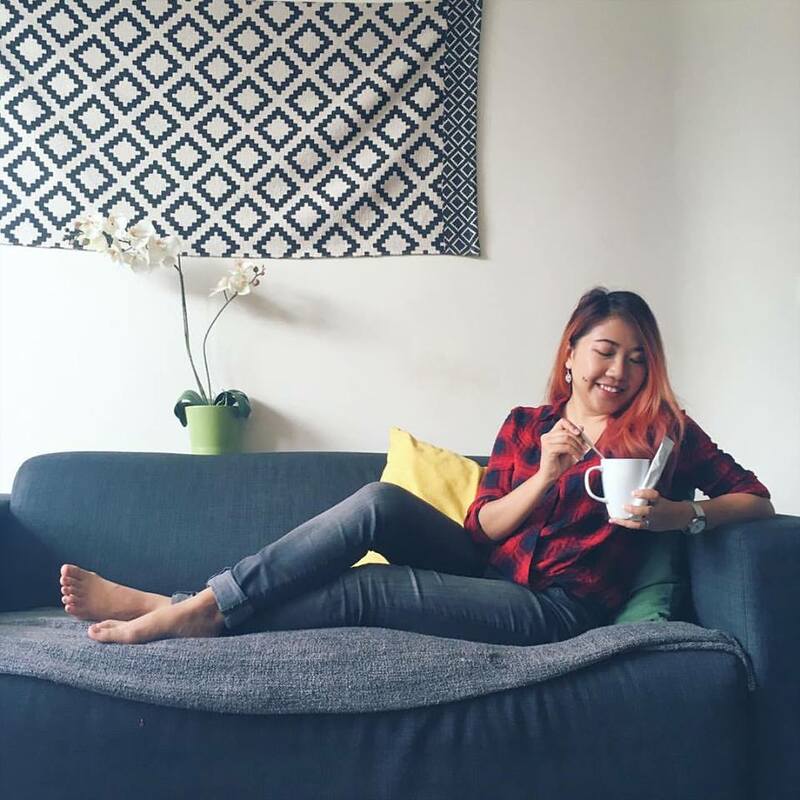 Instead of my usual tea or milo drink, I mix 1 packet with a cup of cold water to create an aromatic, thick smoothie like consistency. It has a nice, not overly sweet taste of chocolate; and because of its rich texture, it makes me feel fuller longer by producing a feeling of satiety. In the beginning, I tend to skip my lunch because it’s very filling for me, but I was encouraged to have a small fruit at least. Along with my morning drink, I also pair it with the Pharmanex’s LifePak vitamins. Now what makes it special is that each pills contain alpha-lipoic acid plus 20 protective nutrients that promote normal regeneration of your body's cells and their genetic information-DNA; simply put…it encourages your body’s natural regeneration process to make itself healthy. My supply of LifePak would essentially last me throughout the different phases of my 90 day programme. 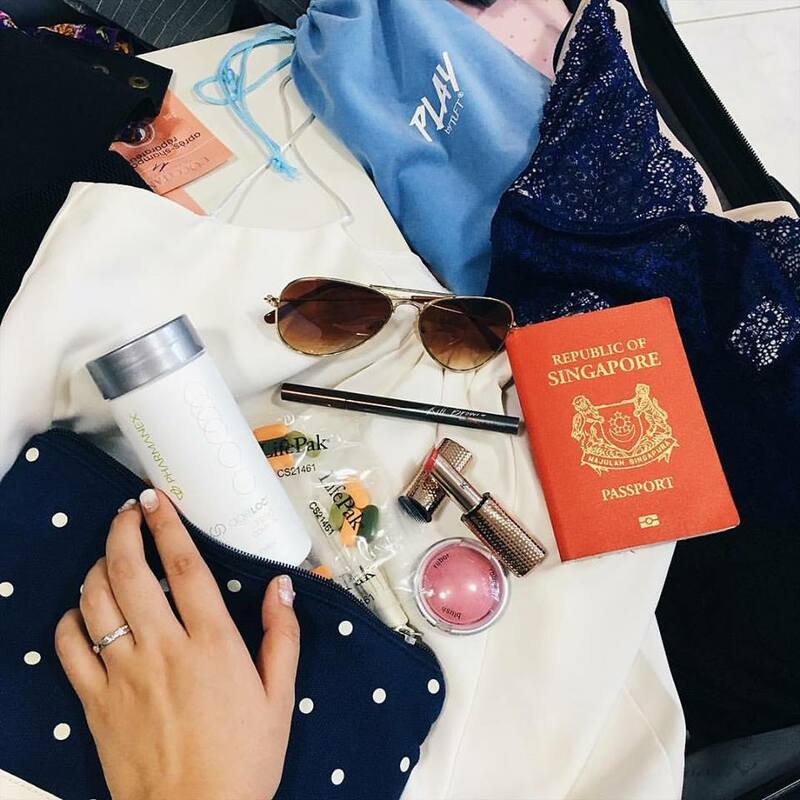 This phase is also coupled with ageLOC TR90 Jumpstart, a powder supplement can be mixed seamlessly with any choice beverages, without compromising its taste. For me, I like stirring a sachet of it into my daily tea or apple juice; I’ve actually even mixed it into onion soup although I’d recommend to stir it well until it fully dissolves. I noted that Jumpstart actually contains Prickly Pear fruit powder, Red Orange fruit extract, Pomegranate fruit juice; a high-fibre mixture with excellent nutrient density yet has low calories and very low saturated fat, thus preventing over-eating from happening. For the earlier part of my experience, I tend to have frequent bloating. Thanks the coupled supplements, I also realised that my regular bowel movements increased slightly, which I perhaps account to the detoxing effect. Even after 3 to 4 hours of eating, the prime time of 3.30pm where I tend to feel peckish; I was surprised that I didn’t feel the least bit hungry and this helped to break my habit of snacking/overeating. The ageLOC TR90 Complex supplement contains a Whole Grape extract, Red Orange fruit extract, Onion bulb extract; working together to bring down cholesterol levels whilst speeding up the body’s natural metabolism to reduce weight. I wonder if its my personal constitution, but I actually felt abit faint initially when I started Complex; but this gradually faded after the first week. Once my body got used to it, I had no problem assimilating it to my meals. Officially my wedding is over! I’m starting on the final phase of my program. Essentially most of it remains the same, except that I’ve moved on to the ageLOC TR90 Control supplements. Hence, to the second phase I moved on to the ageLOC TR90 Control, another supplement to booster healthy metabolism and help maintain lean muscle, and uses a combination of Cocoa bean powder, Pomegranate fruit extract, Green Tea Leaves and Tart Cherry fruit powder to increase the serotonin levels (which makes the brain feel that you are full and suppress hunger) while boostering the fat burning process. Like the Complex, I also take them about 15 mins before any meal. Aside from the supplements, the ageLOC TR90 system is recommended to be taken together with a healthy diet and active lifestyle. Essentially, its kinda like your shortcut to getting that dream figure. Each fornight, I drop by to the Nu Skin’s Distributor Center to measure my weight mass. The team uses a top notch Karada scale , where it very accurately measures your body mass weight while taking into account skeletal muscle, fat percent and subcutaneous fat percentage. I like the fact that all monitoring is based a lot on the findings before the team advises me how to better the diet. My two nutritionists Ruey Hua and Yuan Wu are really knowledgeable; regularly encouraging me to check in if I have any enquiries about foods to eat. 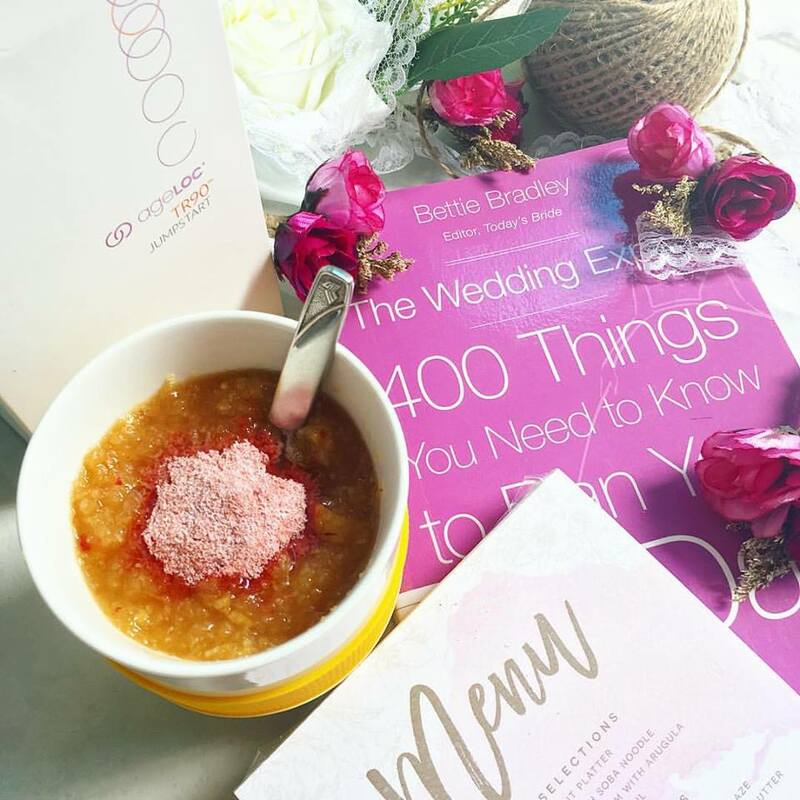 In fact, I was still taking my regular Collagen drinks only to realise that it had a high level of sugar, which is actually detrimental. I was also advised to lessen my level of Starbucks coffee (did you know a cuppa is equivalent to 1 Big Mac meal? GASP!) What impressed me is the convenience of keeping track of my meals; using the TR90 app, which easily breaks down the amount and type of nutrient you are consuming per meal. Instead, I had a simple rule of thumb to follow: I can eat anything I love still, but it has to be in moderation. For example, I needed to cut down portions of carbohydrates into the size of my clenched fist (bye bye Pasta) and say hello to a high protein and vitamin diet, albeit all in moderation. I did so by swopping rice for quinoa (a lower carbohydrate superfood), and chose more meat mains and salads instead, including cutting down on sugary bubble teas and sodas. 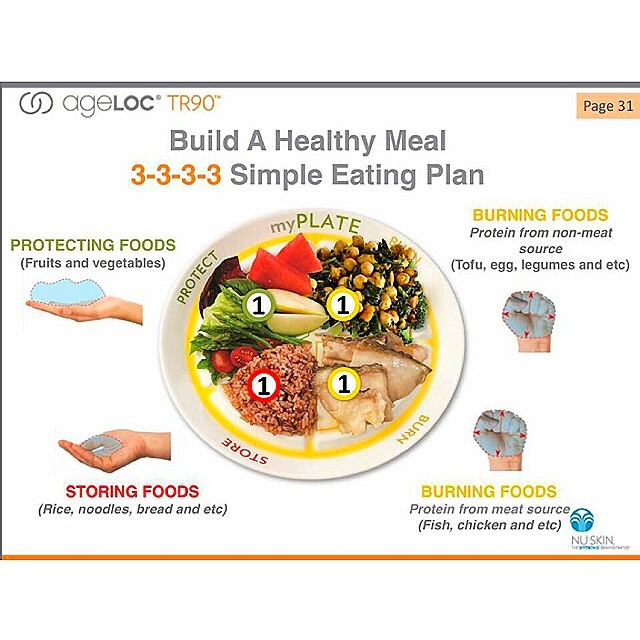 Overall, I found the ageLOC TR90 program a great addendum for a hectic working woman-on-the-go such as I.I’ll be honest that there were times where I cheated, but I was able to catch back by making up with healthier meal choices, and relying on the efficacy of the ageLOC TR90’s supplements, albeit on a timely scheduled manner. 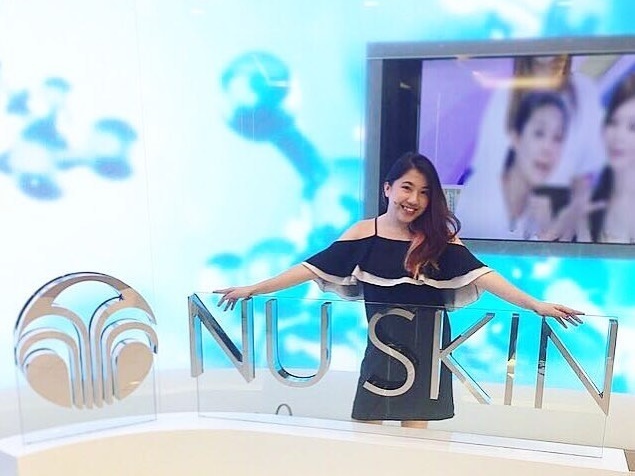 The Nu Skin team is very meticulous in making sure that my slimming journey benefits me holistically. Besides the body mass, they also measure my cartenoids, which is the currency of health as their philosophy is not about superficial weight loss but also an overall re-balance in body health. 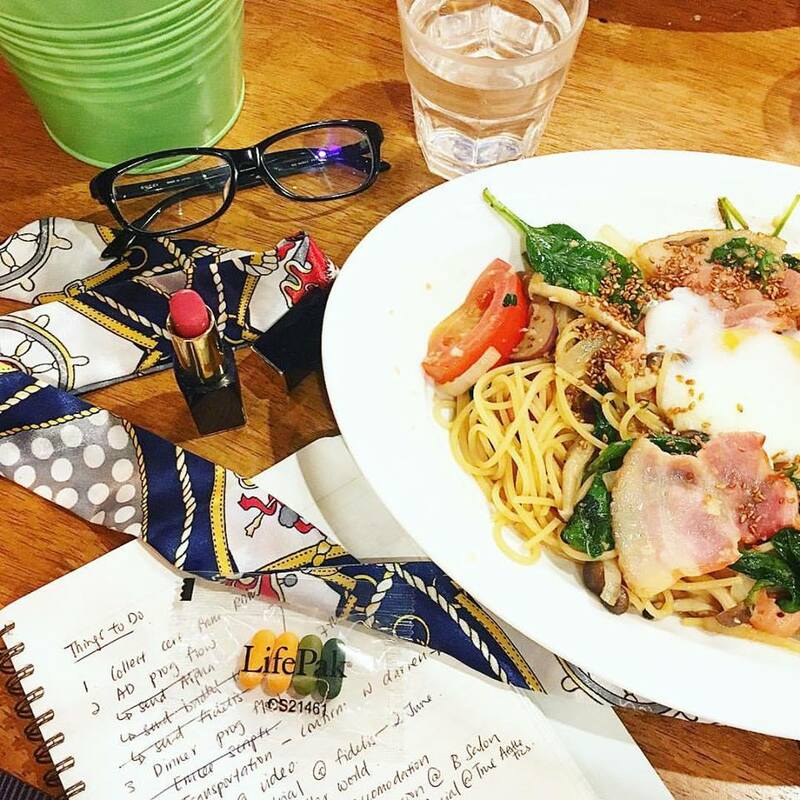 Personally, I found the overall experience fuss-free and complimentary yet delivering results despite my month-long partying in France and indulging in so gastronomical fares. In my final assessment: I’ve lost about 2kg since my last visit, and have built up about 10% more muscle mass than before. Also happy to hear, I actually lost a few cm from my #thundertights as well! Seems like those compliments about my new svelteness were true after all! Thank you NU SKIN Singapore team for this opportunity in regaining a figure and lifestyle I can now be proud of!